On August 15 to 20, Mr. Zhang, the chief manager of Luoyang Dahua, Mr. Chen, sales manager of sales department, and Ms. 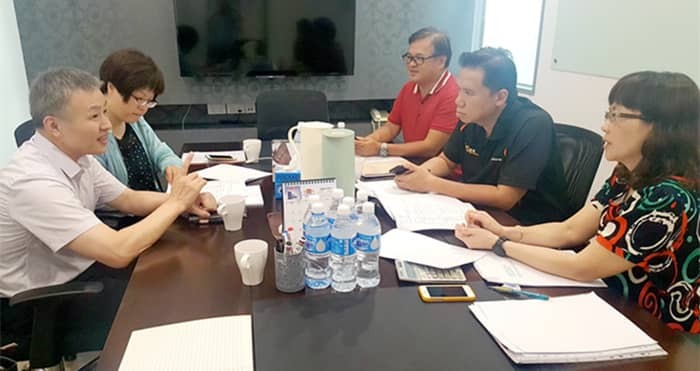 He, the director of foreign trade department went to Singapore and Malaysia to visit our customer and take the investigation and research on the local market. During the visit and investigation, the two sides take relative technical exchange and review the previous cooperation, analyze and discuss the local market and the future cooperation. Through this visit, our company has a clear positioning for the Southeast Asian market, we can accurately grasp the customers requirement and provide the customized service in the future.